Eventworks is a group of students who produce cutting edge events throughout the year that excite the senses, inspire change, and simultaneously entertain and educate. Culminating in an annual month-long festival of multimedia and performing arts, Eventworks is completely run by students of the Studio for Interrelated Media (SIM) at MassArt. SIM students run all aspects of the production: curating, directing the technical operations, generating and maintaining mailing lists, and creating publicity. Because they operate within SIM they have access to a vast collection of professional theater and arts equipment, and to flexible-use performance spaces at the campus (like the Pozen Center for Interrelated Media). In 1977, SIM students conceived of and held the first Eventworks, then an international festival of film and music. It was founded to provide venues for new experimental works and to create a link between the college environment and the professional art world. In the years since, Eventworks has presented over three hundred artists working in music, installation, film, video, performance, dance, sound, spoken word, and more. 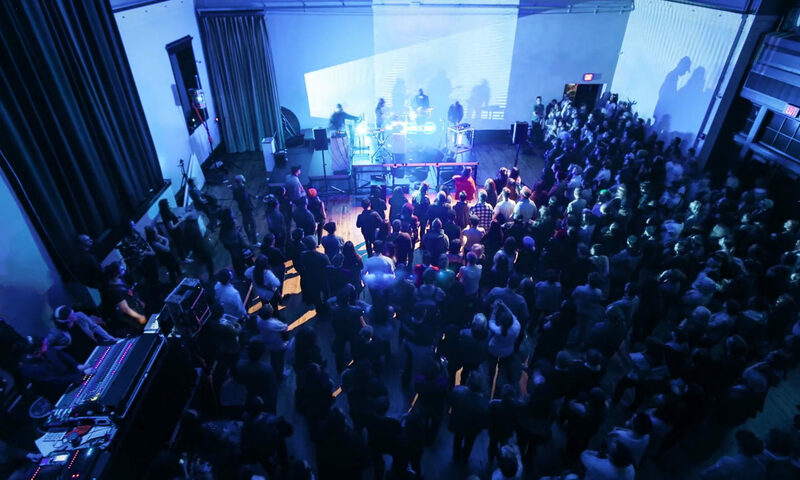 Eventworks produces events in spaces and places within the MassArt campus as well as in theaters, galleries, and cultural centers throughout the metro-Boston area. Each year’s festival reflects the themes and personalities that emerge from the production team and is always new!